I admit it: I’ve developed a slight obsession with baking pies. 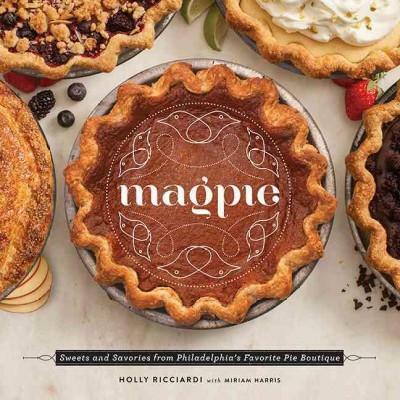 It all started last spring, when I took a hands-on pie class at the Free Library’s Culinary Literacy Center with Holly Riccardi, a baker who runs Magpie, South Street’s "artisan pie boutique." 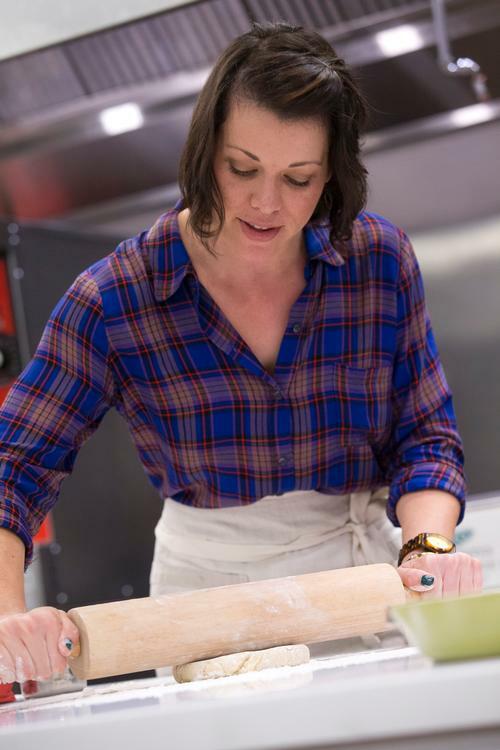 Holly taught a fail-safe dough recipe for both sweet and savory pies, and she got into the nitty-gritty of pie baking that comes only with ample time spent as a professional (for example: Did you know that finished pies should sit overnight before you slice into them?). 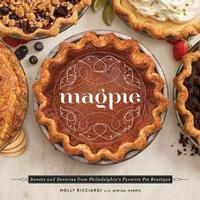 Since then, I’ve been working my way through Magpie's exclusively-pie cookbook, baking everything from lemon curd and sour cherry pies to the shop’s signature butterscotch bourbon pie—plus other delicacies like pie crust "fries" and cookie dough hand pies. As for now, why pie? Well, today, March 14, is Pi Day (3.14, get it? ), and you should celebrate with a hefty slice of pie! Whether you're cozily snowed in or itching from cabin fever, you can get baking in your own kitchen! 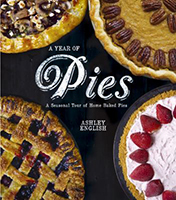 Trek to your local neighborhood library to check out one of the many pie-focused cookbooks from the Free Library’s catalog! Don’t forget—we’ve got cookbooks as ebooks, too, and you can download them without ever getting out from under your blanket. Need some more Pie ideas? 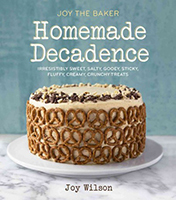 Check out Joy the Baker’s Homemade Decadence! 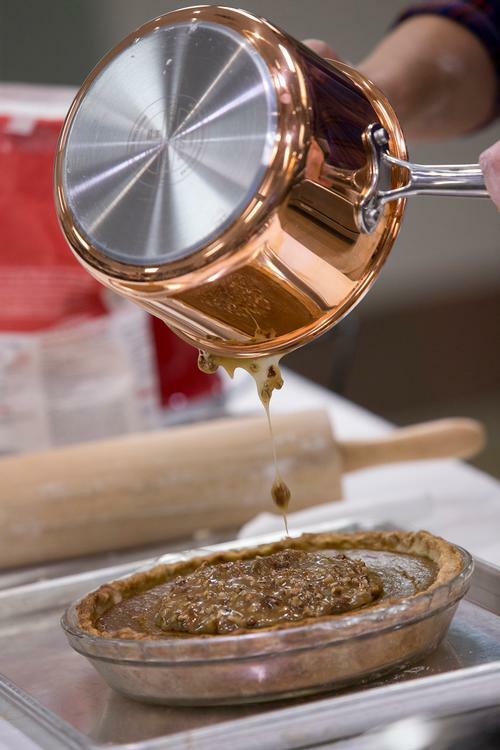 Joy stopped by the Culinary Literacy Center in 2014 to promote her book and demonstrate how to make pecan pie. Want to get schooled? 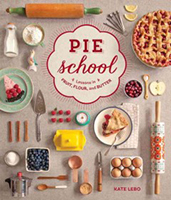 Check out Pie School: Lessons in Fruit, Flour, and Butter for endless tricks and tips, including how to make a gluten-free crust. 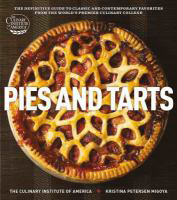 Or if you’re more interested in higher education, take your baking to the next level with Pies and Tarts: The Definitive Guide to Classic and Contemporary Favorites from the World’s Premier Culinary College. That "premier culinary college" would be the Culinary Institute of America—where the pie pros are trained! 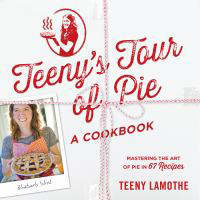 See America by pie with Teeny’s Tour of Pie cookbook. Think pie-making should be simple and fun? 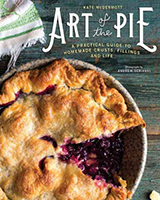 Try the practical guide, Art of the Pie. Ready to commit to a calendar? Be inspired by A Year of Pies. These are only a few of books containing the hundreds, if not thousands, of pie recipes available to you for free from our collection. And as you celebrate Pi Day, know that you'll also be celebrating One Book, One Philadelphia since ratios, conversion, addition, and multiplication figure into the process of baking—numbers and patterns are just some themes in this year's featured selection, The Curious Incident of the Dog in the Night-Time. Do your eyes glaze over when arithmetic arises? You might best understand these concepts when you get to taste the sweet product (or sum, depending on if you’re adding) of your labor! So roll up your sleeves and dust off your rolling pin—having a snowy, delicious Pi Day is as easy as pie! Cake or pie? Not a question on March 14!